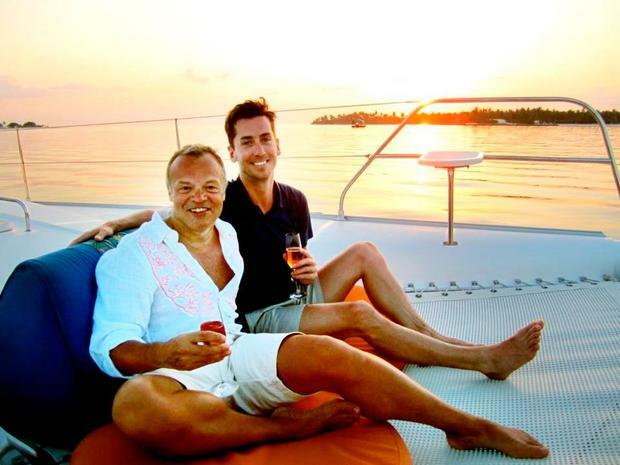 Everyone always knew that Graham Norton could spin a good yarn. It's the unique selling point, after all, of his hit BBC show, where anecdote (and the more bonkers the better) is king. But recently, Norton has revealed himself to be a dab hand at storytelling of a different kind. Two years ago, he surprised everyone by releasing his first novel, Holding which rapidly became a Sunday Times bestseller. Even more surprising for a novel written by a celebrity, it turned out to be neither a vanity project or a piece of thinly veiled autobiography. A nonplussed literary press reacted with almost unanimous praise when he released an expertly crafted piece of popular fiction set in small-town Ireland. Odder still, perhaps, is that as a novelist, Norton has immersed himself in the world he spent much of his childhood plotting to escape. "I had looked through the windows of books and televisions, and immediately decided that the life I was living, this life of marriages, funerals and price of land, was not my beautiful life," he wrote in his autobiography So Me, in which he recounts how he capered his way from a happy, but constraining early life as a small, Protestant boy, gay, but not yet out, to become one of British television's top-tier stars. His story is one of rare and audacious wish-fulfilment. And yet the characters he writes about are ordinary folk, living lives of frustration and quiet despair. Rural Irish life is a world he still understands well, evidently, long after he left it for dust. "I spent the first 20 years of my life there and that's what makes you, that's who you are," he explains. "You can tinker with that person, but essentially you're not going to knock down the house. You can replace the windows but that's about it," he says. We are sitting in a slick, light-filled conference room of Hodder & Stoughton publishers, looking out over the Thames. He looks well, trim and tanned, his clothes a keyed-down version of his jaunty, on-screen style. "I think those building blocks are in you and that's never going to change... And also those are your formative memories. Whatever emotional intelligence you have, that's what it comes out of, it's all of that." Ireland provides a useful setting in terms of the narrative drive, because for a long time it has been a society built on secrets. It's a rich seam for storytelling. Norton remembers well growing up navigating the deep and loaded spaces between what was said and left unsaid. "People did not live their lives as open books. And still don't. That was my granny's mantra, that it was her business. You don't go telling everybody your business. It's a weird thing that we can tell so many stories. We can talk for hours, and seemingly give a lot of ourselves, but not. So that actually you walk away and you don't really know that much about people at all. Because we have found a way of being with each other, which I really like. For me, English people will never talk enough. They don't get it." Perhaps too, he was particularly attuned to this as someone who himself always felt a bit 'other' growing up. "I always felt slightly detached, and always felt like I didn't quite belong," he says. "On one level that could easily be explained because I was growing up Protestant in southern Ireland. And so that's already an alienating thing. You're made to feel slightly other. And then I figured out, oh, there's something else going on here. It's not just the Protestant thing, it's something else. But that took, you know, it took a long time, one to figure that out, and two, to accept it for myself. The world has changed so much, it makes me sound so old, it makes me feel so old when I think about how I had the eternal struggles I had with that realisation." He went back to his old school recently, to do a prize-giving. "You know if you go to a school you can probably spot the gay kid. But these were gay kids, they were like, out gay kids. And it just blew my mind. That they weren't just covered in bruises and walking on a crutch. They were just living their life. And yeah, I'm sure they had good days and... I'm sure it wasn't paradise because it's not paradise for any kid. But that wasn't one of the things that was eating them up inside. They had accepted that about themselves and other people had accepted them. And that a-m-a-z-e-d me. Amazed me. That something that seemed so immovable, so entrenched, could change in just three or four generations." He has, he says, taken a real delight in watching the change in Ireland from afar. "I was in Vienna doing Eurovision when they were doing the referendum on gay marriage. And just watching these pictures being beamed over CNN - that the world's cameras were there and kind of this is the Ireland the world is seeing. It was moving for all sorts of reasons, but in a way I found that - there's sort of a pride. It was like when Dana won Eurovision, you sort of thought, the world respects us! And so for the world to be seeing that Ireland, it was just amazing, you were so proud. It was like, when your dog finally does the trick first time. You did roll over. I hoped you would, but you did. It was lovely!" Norton left Ireland when he was still a teenager, and it was in America and Britain that he evolved into the star he is today. He didn't rise through the ranks of British media coasting on luck and looks alone, but his handling of his writing career provides insight into what an astute operator he is. His first volume of memoirs, So Me, was published in 2004 and was a commercial hit. His publisher wanted a second volume - he said he'd only do it if they would also agree to publish a work of fiction. And then, he tightened the screws again when facing the prospect of the famously tricky second novel. "After the first one did well," he says of Holding, "they came back and said would you like to do another one, and I went, "no. I'd like you to sign me up for another two. I assumed this one would tank... But in fact I really enjoyed writing this and people seem to be enjoying it as well. So even if it doesn't do as well as the first one, you can tell it's going to do OK. So now I'm really worried about the third one. The third one is going to be the hard one." Choosing a setting that belies his own public life was deliberate, he says. "The good thing about being me is you get a book deal, but the bad thing is, I'm reading the book over your shoulder." He explains. "So I wanted to try and extricate myself from that, because, and this is a terrible thing to say, I never think about writers, when I read novels I'm either enjoying the novel or I'm bored, but it's very, very rare that I'm interested in the person or will read the biog about where they live or if they have children. Couldn't care less." 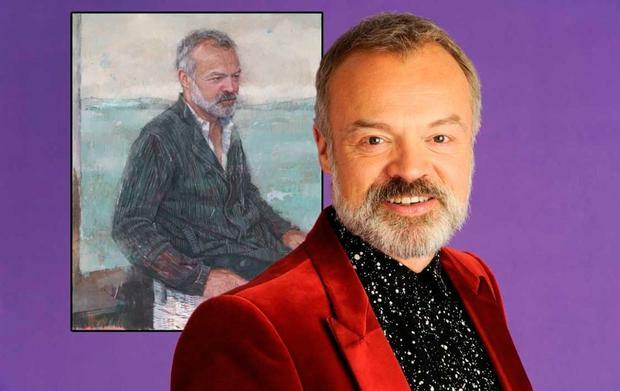 His considerable efforts to remove all traces of Graham Norton the broadcaster we know and love from his writing are quite dazzlingly successful. If his name wasn't on the cover, you'd never dream it was he who had written it. "I did a checklist of things," he says. "In that first book I deliberately didn't have anybody who lived in London or New York. There wasn't a gay character in it. I removed as much as I could. And this one, I felt like there could be a gay character, I'm allowed one now. Or someone can be in New York. No one is working in television yet. (Book 3!) That's all deliberate." Reading, he says "is a very intimate thing - it's just you and page and nothing gets between you and that world, you are just in that world. I wanted to try and give readers that experience. But that's slightly challenging because a lot of people will buy it because I wrote it. They'll want to read it because they like the show, but then they are thinking, this isn't about show business? Hopefully, whatever their reasons for buying it they will just enjoy it as a story. That's my aim. You know those books that you read and you think 'well, this isn't fiction at all, this is just what happened to you?' That was not the sort of book he set out to write. "I wanna make stuff up." Though there are funny moments and wry observations, the overall tone is a far cry from the giddy humour that fizzes out of Norton on-screen. A Keeper is almost gothic in tone, a book about the unravelling of shadowy secrets. As Ireland undergoes a painful expurgation of the hidden past in lots of ways, it's very up-to-date in its themes. But Norton's treatment of them errs on the side of entertainment rather than bleak realism. "To me it's a palatable darkness, because you know that it's still entertainment, you're not frightened to turn over a page, you know that you are safe-ish. I hope you do." He's starting to carry serious clout in the Hodder & Stoughton firmament. His books have been translated into multiple languages. And yet, he admits to a lingering sense of "slightly don't feel worthy". That he's "pretending to be a writer now", playing dress-up with a new identity. "That's who I'd like to be. And it's a bit of me, but it's not really who I am. I feel very self-conscious when I meet novelists. And they say, I don't know how you can write during the summer, I can't write during the summer and I go, oh I know, that's because it's your job. This is like my picking grapes. This is my work holiday." Ultimately, however, it's not the approval of other writers he is seeking, but his mother's. She is, he says, "very much a key reader. To the point where, kind of, these books are for her. Not for her, but if my mother didn't like these books, I would have failed. And also because we like a lot of the same books. So if my mother hadn't enjoyed this book or the last one, I would have felt, oooh, I've got this wrong... it's not like an academic exercise, where I'm going to write a book that will appeal to middle-aged women in a book club. But equally, the books that appeal to middle-aged women in a book club I would want to read. I will like those books". 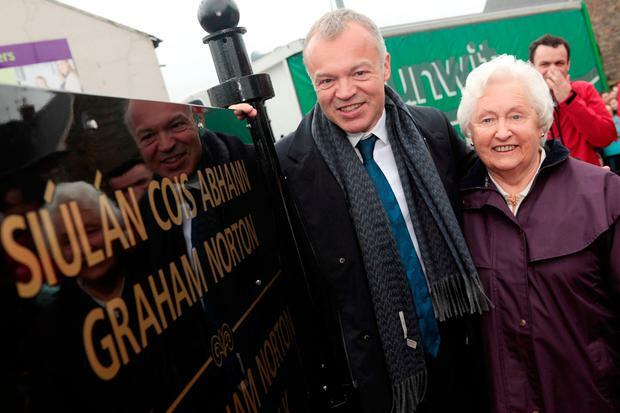 His fondness for his mother has long been an essential part of the Norton persona that we know and love. We know too (thanks to his two memoirs) his vices and his humiliations. He hasn't sought to conceal his mistakes or his disappointments in love. (When an ex-boyfriend was approached by a newspaper to do a kiss and tell, it was Norton who negotiated the fee.) Norton doesn't deny his vulnerabilities, but rather skewers them for comic effect. Overall, it adds up to make him arguably one of the most popular Irishmen living abroad. "Maybe I'm lucky in that I like my mother," he says. "We get on. I noticed my friends really engage with my mom when they meet her. She's going to be 87 this year but she's still very... she's interested. And you realise that of all the faculties that we try to hold on to as we get older - like my mother can't really do stairs right now, although I think she'll be going to get back on stairs - but she's kept her curiosity and I think that is key to getting you through. My mother is constantly planning to get the kitchen painted, she's getting new curtains... I'm 55 and I look at my house and I go, 'it'll see me out. That's fine. It'll see me out. Keep planning." Interestingly, the mother-child relationship as an ultimately redemptive thing is at the heart of the story in A Keeper. "I don't have a kid," he says. "But I have a mother and I have enough friends who are parents. I don't know whether all parents are like this or whether it's a neurotic modern thing where you live your life in guilt. That you are not good enough. At every moment you are failing in some way. Whereas I think parents didn't have that before. "The prevailing attitude used to be 'they've got shoes and they had some food a minute ago so I think my job is done'. And I think good parenting is probably somewhere in the middle, but most people aren't there. Most people are either neglectful or overly cautious. I think if I was a parent I would definitely be overly cautious, I would lock a child in a room, they could come out when they were 18. Maybe 23." With an exciting new career in development, things are looking pretty good for Norton. He only drinks when he goes out these days - not because he's reformed, on the contrary, he cheerfully admits that on a night out he "drinks like a fish" but "because somebody said to me, those are empty calories. If you drink a bottle of wine while you're watching telly - I like the taste of wine, but getting slightly tipsy watching telly doesn't make watching telly any better - and you've consumed a shed load of calories you didn't need to consume... You get drunk but then you sober up. The calories stay with you... Drink doesn't improve the quality of television, but it does improve the quality of our conversation, if the wheels have been oiled". And though he's usually cast in interviews as an eternal bachelor, he doesn't feel, he says, married to the job. "I think hope springs eternal. I wouldn't say I've given up on the idea of love. Because I think that would be kind of horrible. "Why should you give up. Well because it becomes increasingly unlikely. But you know, I have some friends in New York and one was 68 when he met his boyfriend. So I've got yeeaaars. In The Telegraph [where Norton writes an 'agony uncle' column] I'm constantly getting letters going 'I'm a 63-year-old da da da and I recently met a lovely man and he's perfect but blah blah blah blah', and you're like. 'How the f*** did you manage to do that!?' But they do. So maybe I'm just caught in an awkward phase. Fifty-five is just a sort of pocket, come on 60."